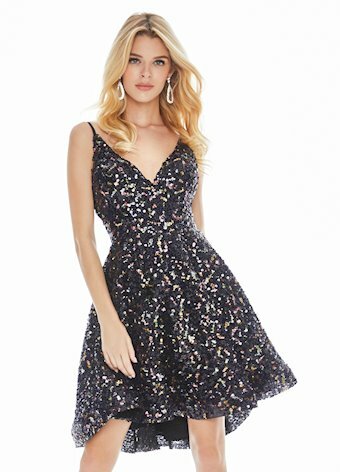 Sparkle all night in this A-Line sequin cocktail dress. The multi colored sequins add a fun and sparkly flare to the dress. The skirt is complete with pockets.